If KC has something to prove, they would put on a blood bath. I think KC will get up early and just coast. Let Hunt be the star of the show In his hometown. They won’t embarrass the guy who built that core of that team in Dorsey. I can’t stand Huebris’ BS comment in the presser that he cant remember what happen on why he didn’t use TOs and didn’t want to say something that would be wrong and have the media turn it around him. He will criticize everyone but will make cover his arse to make sure he can’t be proper criticized. I think they’re gonna lay one on us tbh. The last few weeks we’ve looked disinterested and they look fantastic. 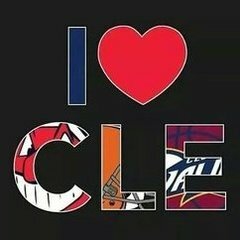 For the love of god can we give Greg Robinson a start at RT. He can’t play worse than freaking Hubbard. Hubbard is going to be cut after this year so let’s give Robinson an audition for the spot. Thank god Dorsey gave him a contract that will make it easy to walk away from him this offseason. I'm pretty optimistic...for my fantasy team to go off next week (I have Mahomes and Kelce). I just hope the Browns can steal a few plays outta Andy's playbook cus he's gonna show us how it's really done. I don't know about you guys but I thought we have officially reached the point in the season where every GDT would be done with bouncing boobie gifs. Football doesn't even matter anymore at this point. I still want to see an encouraging performance out of Baker, that'll be what I'm most hopeful for. This KC defense is underrated in some aspects, but I don't expect them to be in Baker's face as much as Pittsburgh has been. He should get some more opportunities to make some impressive plays and allow us to leave this game with some optimism. It makes me very happy that you can see where I am right now. I mean as a fan, not physically. That would be weird. Or clairvoyant. Or both. Apparently it’s not happening today. So I guess it’s not happening this week. Gotta be after we get blown out again this week. First and foremost, Kiwi killin it with the GDT. Best one of the year. Browns gonna win this week. 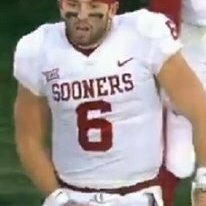 Bakermania will resume after a gutsy performance by Mayfield. What a fkin moron ?